The 15 FT Black C14-C15 PDU-Server Power Cords are used in datacenter environments between a server and PDU. The equipment end features a thick-insulated IEC320 C15 female connector port with a notch in the base. 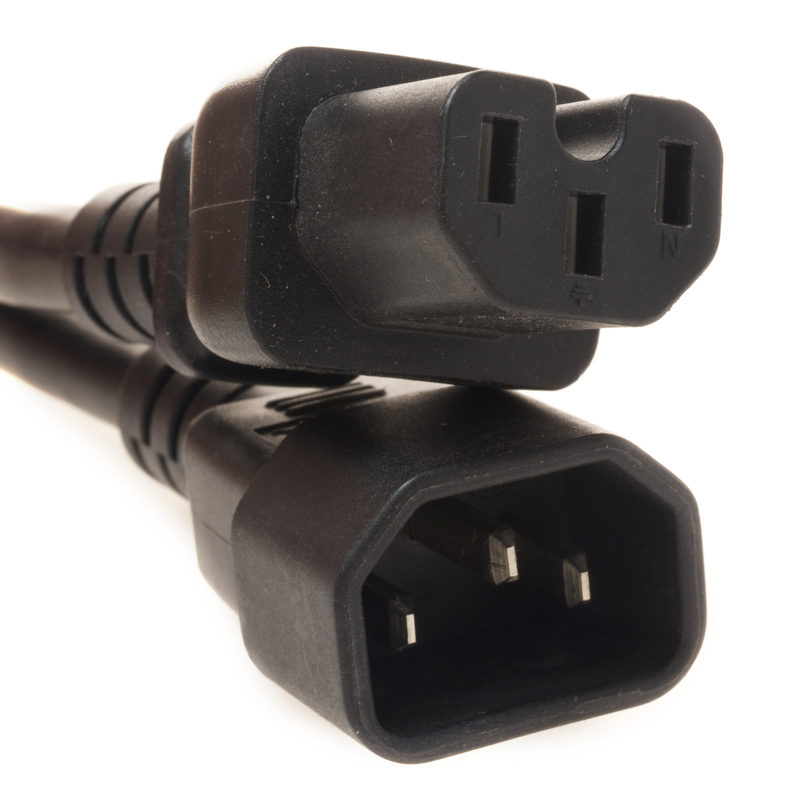 The supply end is equipped with a sleeved IEC320 C14 male plug connector.This power cord has a maximum amperage of 15 amps..